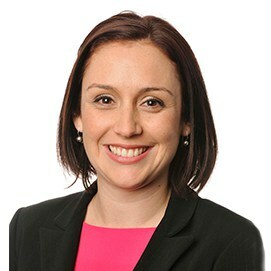 Ashleigh is a registered psychologist with experience across a range of organisational development projects. She has worked as both an external and internal consultant across public and private organisations in the areas of organisational design, culture change and workforce development. She is adept at integrating qualitative and quantitative insights to identify the strengths and opportunities within organisations and develop pragmatic interventions to leverage the positives and achieve change. Reviewed the operating model of a central government agency, providing recommendations for preferred future model and supporting organisational enablers along with implementation advice. Ashleigh holds a Master of Organisational Psychology and a Bachelor Psychological Science (Honours) from The University of Queensland. She is a registered psychologist with the Australian Health Practitioner Regulation Authority and a Supervisor Training & Approval Program (STAP)-accredited supervisor of psychologists in training. Ashleigh is usually visiting parks and the beach with her young daughter and husband, catching up with friends, or travelling interstate to visit extended family.